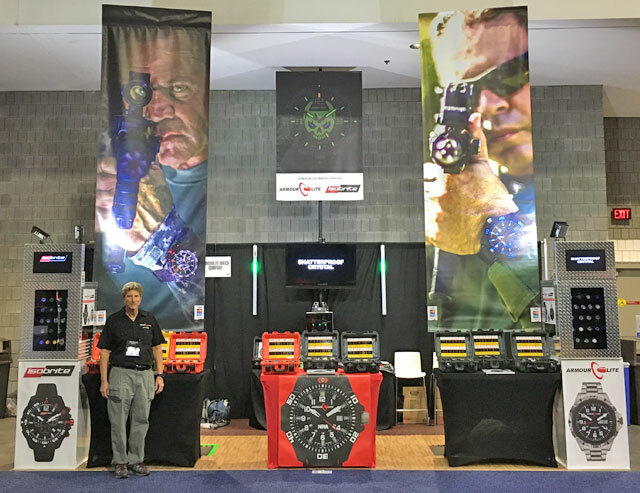 ArmourLite Watch Company was proud to exhibit again at the NRA Annual Meetings and Exhibits with a 16-ft tall booth that could be seen from across the convention hall. The 2017 show took place at the Georgia World Congress Center in Atlanta, Georgia with over 80,000 NRA members in attendance, including President Trump. It was great to meet so many attendees wearing their ArmourLite and Isobrite watches. Plus, the NRAStore locations onsite were selling the two official NRA watches made by ArmourLite. We’re looking forward to 2018 in Dallas!